I used to keep honeybees and I’m still a beekeeper at heart. So, Honeycomb shaped beads combine two of my favorite things: bees and beads! Honeycomb beads are hexagonal, with two parallel stringing holes. 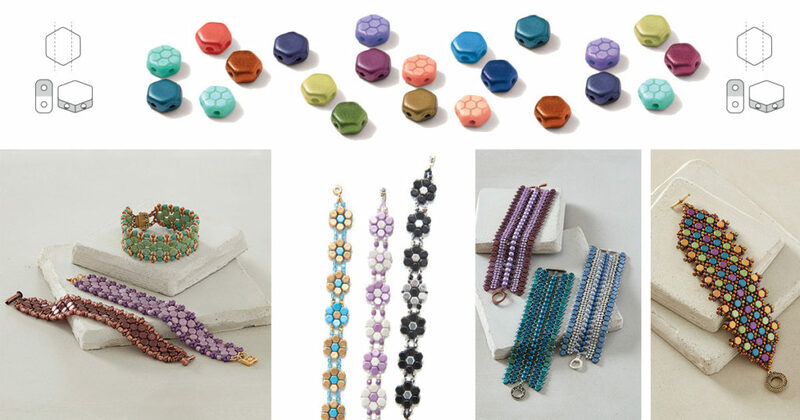 They can be used in a variety of bead weaving designs to make beautiful beaded jewelry. The hexagonal shape of the Honeycomb bead is inspired by the cells that bees build to use as nests and honey storage. No one knows exactly why bees use the hexagonal shape, but it may have to do with the way the cells fit together so efficiently. We can use that to our advantage when we weave Honeycomb shaped beads together, too. If you love bees and butterflies, check out Whistle While You Work and Brick Stitch Beaded Butterflies. So, make a cup of tea with your favorite wildflower honey (affiliate link) and stitch one of these sweet beaded jewelry designs. This Into the Hive Cuff by Laura Graham is a gorgeous, textural explosion. I love the way the Honeycomb shaped beads fit together like tiles in a mosaic. These colors feel fresh and springtime-inspired, but this would also be gorgeous in black/silver for a dressy look. Use two-needle right-angle weave and netting techniques to create a reversible, double-layered Mirror Image Bracelet designed by Shanna Steele. 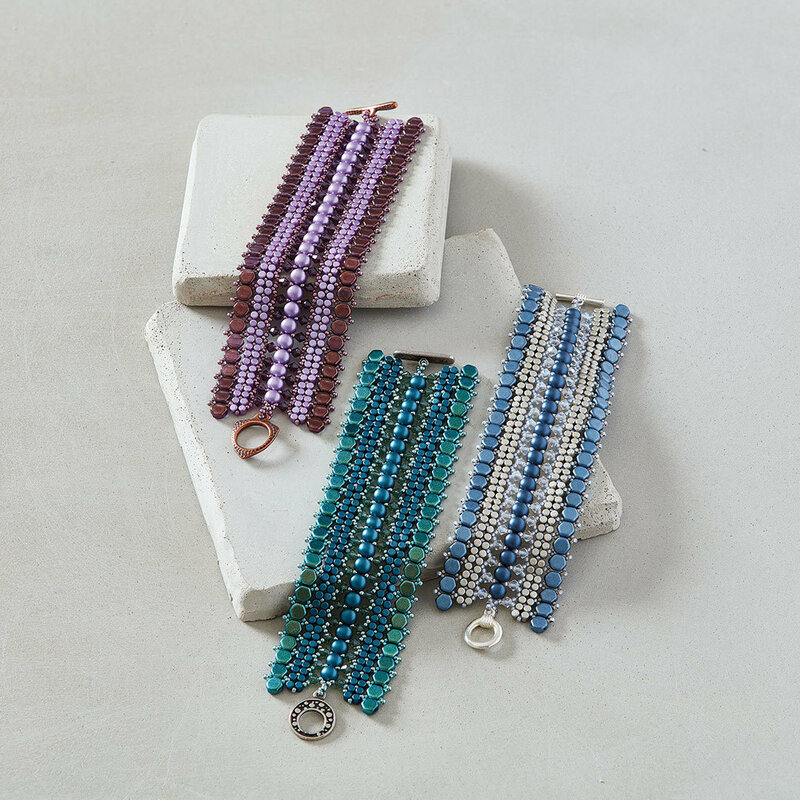 Weave together multicolor Honeycomb shaped beads and Japanese seed beads in this cuff, or use a monochromatic color palette for a totally different look. 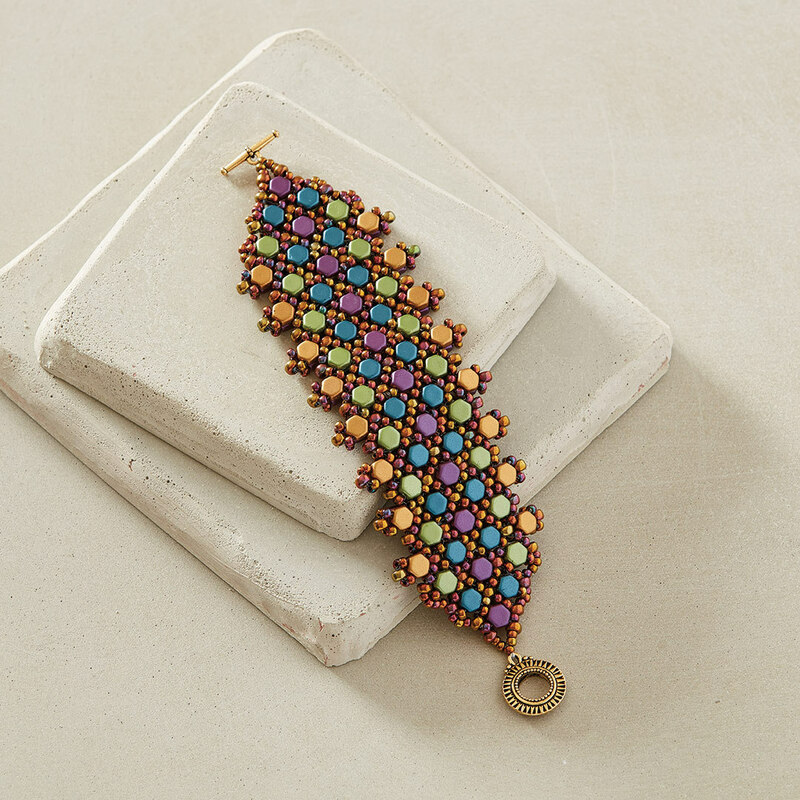 Create a beautiful cuff inspired by the tulip motifs often found in Russian folk art. The Tiptoe Through the Tulips Bracelet designed by Cathy Andrews is the perfect make-it-tonight project. Peyote-stitched two-hole Honeycomb shaped beads resemble a cobblestone path between netted edges. It’s a great introduction for beginners or a quick and easy design to keep your hands busy while you watch you watch the Bee Movie. Do you remember making your first seed bead daisy chain bracelets? Level up with these fun Penny Blossom Bracelets by Shae Wilhite. Just use ladder stitch and peyote stitch to connect Honeycomb shaped beads in a daisy pattern. 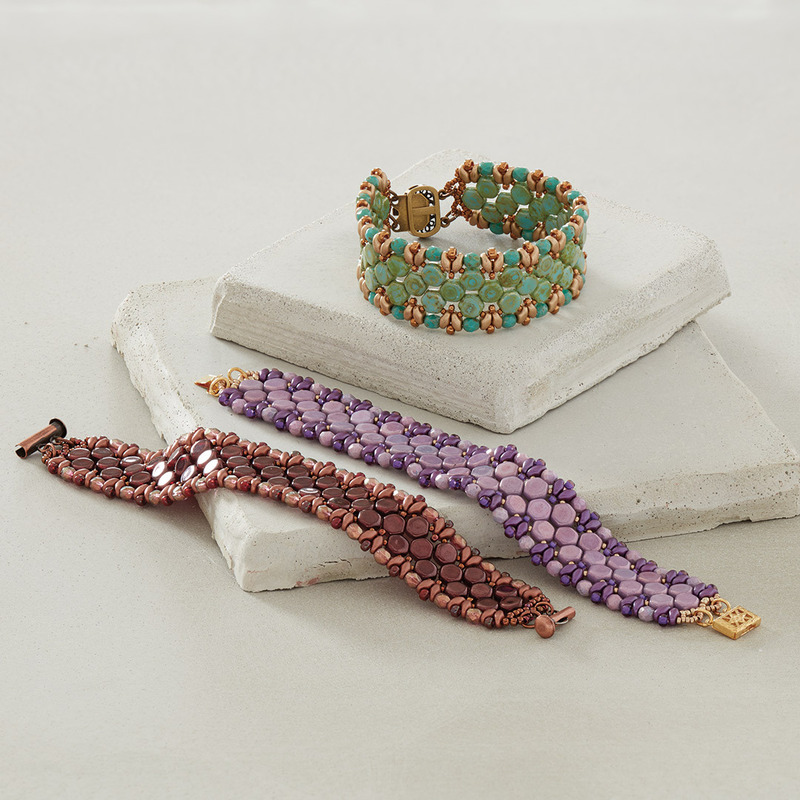 You’ll love how quickly these bracelets come together for last-minute gifts.